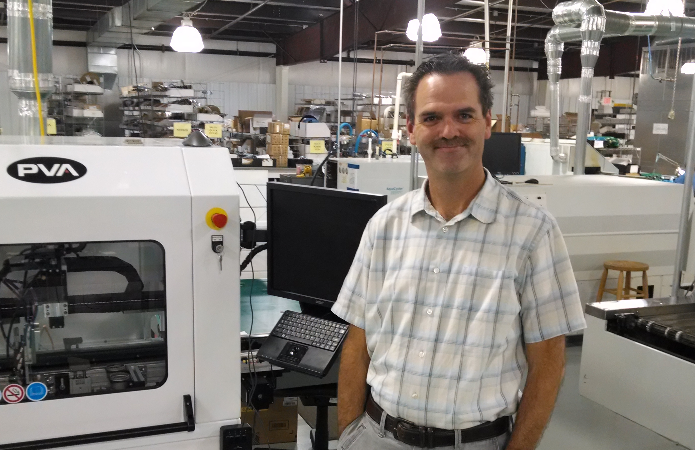 Dan Roth has joined the company as Manager of Quality Assurance. Dan Roth from Omaha, Nebraska has joined Global Manufacturing Services, Inc. in West Jefferson, NC as head of the Quality Assurance Department here. Dan has a BSME and years of experience as design and development engineer and project management experience in the aerospace and automotive industries. He has wide experience with CAD software, such as AUTOCAD, Solid Works, and Pro Engineer as well as several years experience as a Quality Engineer in a company that develops software for the banking and insurance industries. Dan has strong interest and experience in Lean Manufacturing, process improvement, and Six Sigma Quality Levels. Some of his background includes New Product Introductions (NPI) where he worked with suppliers and manufacturer's processes, methods and refinements so as to get products ready for market introductions. More recently Dan has worked as leader of a Quality Assurance group in a Financial Services Company that develops and sells software into the banking and insurance industries. Because Dan is familiar with many of the Quality Standards and techniques such as Six Sigma, Lean Processes, Time Management and Advanced Time Scheduling Techniques, we are confident that his implementation of the recent ISO 9001-2015 upgrades will allow us to complete out review process during the 2017 summer. Because Dan has such wide and varied experience in manufacturing, process, and scheduling, wide knowledge in mechanics and software in addition to Quality Assurance, it has been hard to keep from using his time to great advantage as GMS changes over to a new and modern MRP/ERP system. Dan has already contributed significantly to implementing our new MiSYS MRP System on our new 16 TByte Western Digital Server. We rationalize that when he and his team get the MRP system up and running; our Quality Management System will have a good stable platform for use in running the business of assembling large numbers of big LED boards for the lighting industry, very involved musical instruments for a famous musical instrument maker, clever, 'minimal install', door openers, and a host of other products that our customers are purchasing.